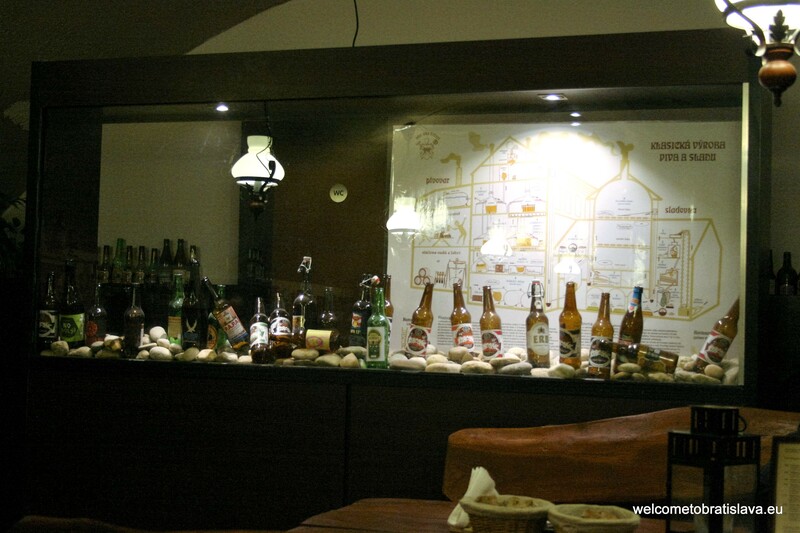 An overwhelming Slovak beer selection, tasting sets or own beer brewery experience! Welcome to Staromeštianska pivotéka. 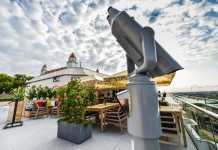 This pub is a project of two true beer lovers who also stand behind the beer brand Kastelán originating from Slovakia’s northern region Orava. 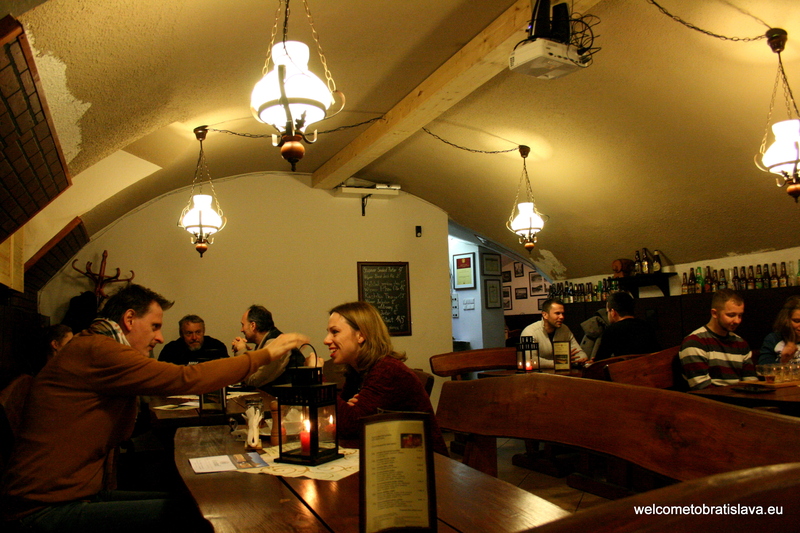 If you are lucky enough to meet the owner here, you might learn a lot about Slovak beer from the first hand. Staromeštianska pivotéka is located very close (only around 3 minutes of walking) to Grassalkovich Palace, the residence of our Mr. President. So keep your head down on your way there. Well, because this pub is in a cellar so you might easily overlook the entrance. And that would be a pity! The interior is cosy, consisting of two spacious rooms, both non-smoking and non-music playing, so you can peacefully enjoy the usual weekly beer selection. 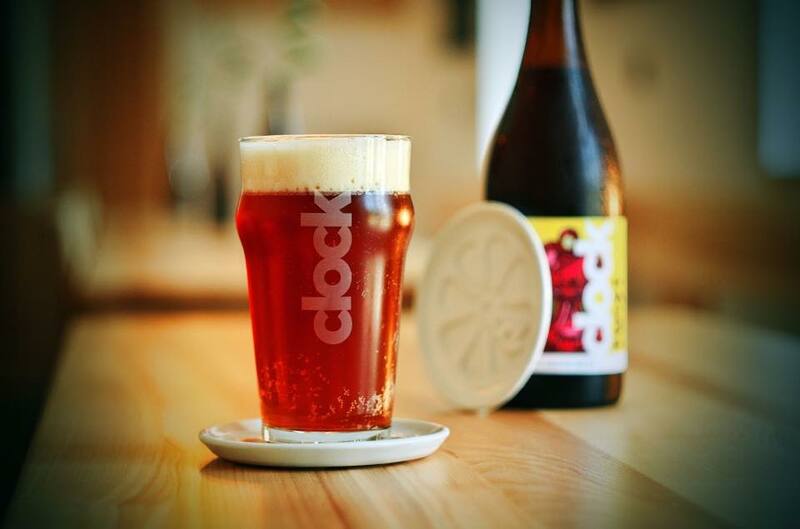 Owners really go with modern times – you can find the current beer offer on the tablets hanging on the wall above every table. 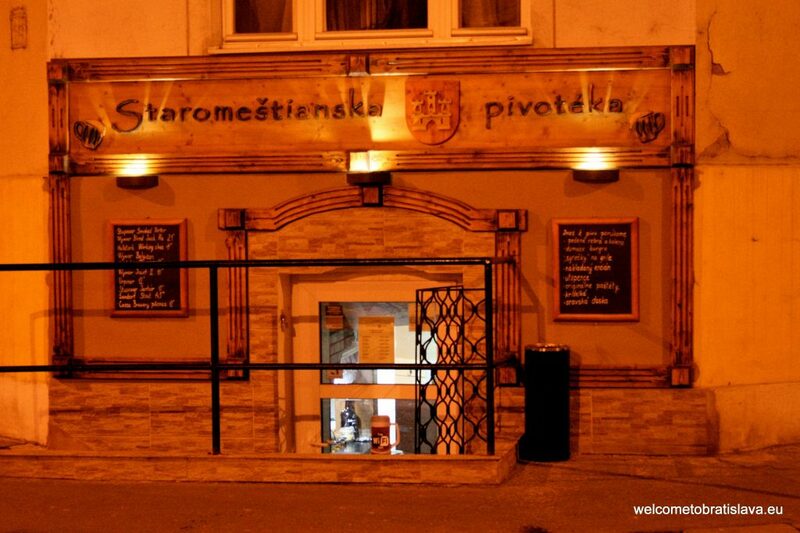 WHY IS STAROMESTIANSKA PIVOTEKA SPECIAL AND WHAT TO TRY? 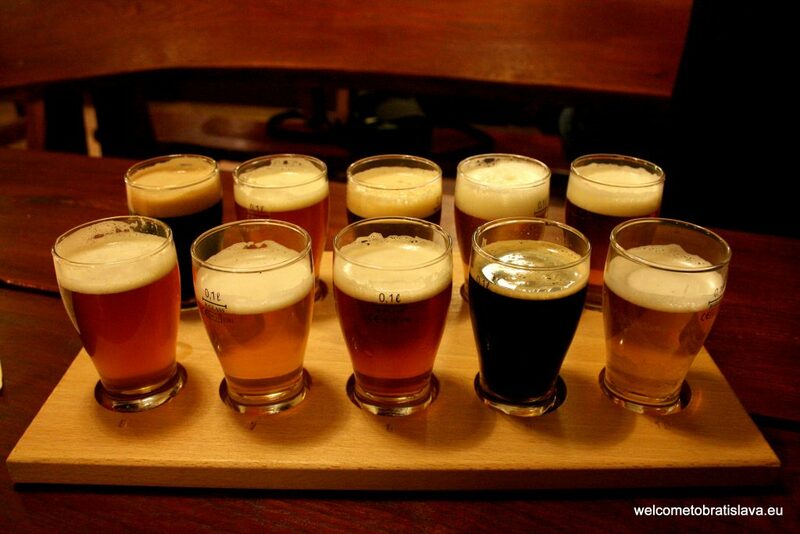 Each week you can look forward to a selection of 10 beers from Slovak craft breweries. Not to make your choice easy, great variety of bottled beers is also available. If you can’t decide, don’t hesitate to ask the waiters – they are very friendly and helpful. Can’t decide? Then go for the tasting set. 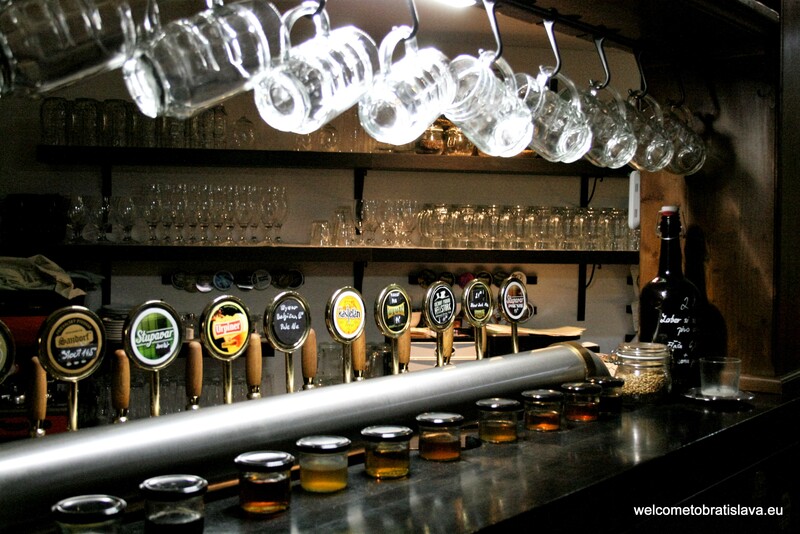 You will get 10 small 0,1 liter kegs of all beers on tap for 5,99 €. Usually the offer consists of beer made by local breweries like Supavar, Urpiner, Wywar, Hellstork, Kastelán of course, and you will find almost everything from porter, through stout, ALE, IPA, to wheat beer and lager. If this isn’t enough, try their pivovica, alcohol made out of beer. 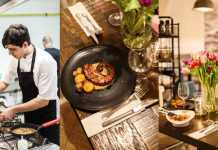 The meal offer is also very broad – mostly consisting of “brewer meals”, like roasted pork knuckle or ribs, marinated wings, encián (a type of cheese), utopenec (pickled bratwurst or sausage drowned in sweet-sour vinegar), or Orava’s selection of bacon, meat pudding and sausages. 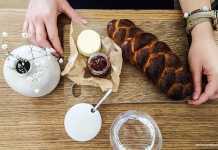 The rumour has it that it’s worth trying their spreads with bread. They will also prepare you a vegetarian burger.